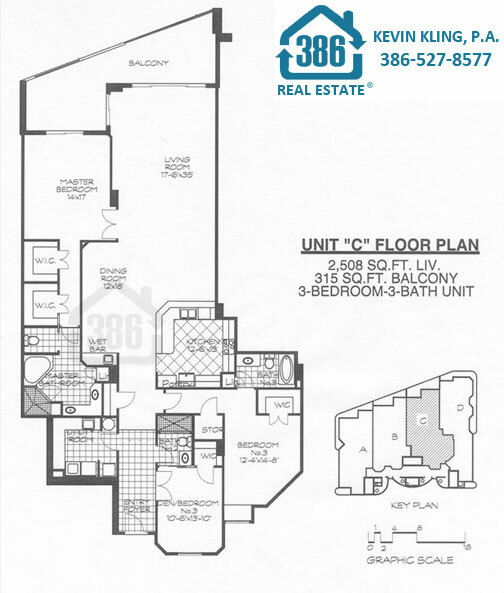 Below you will find floor plan options at the Daytona Beach oceanfront condo building, Island Crowne. Call us at (386) 527-8577 for personalized assistnace. 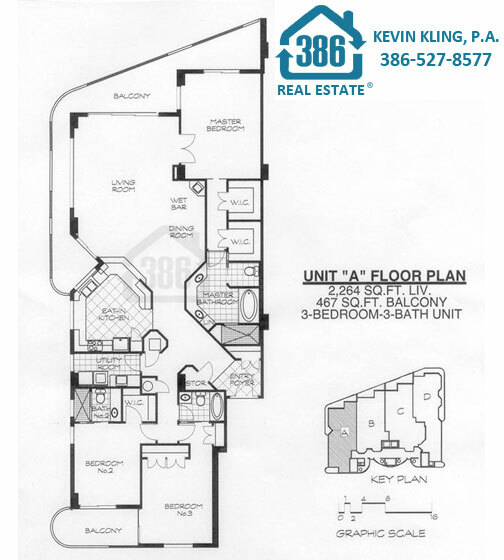 The A floor plan is located on the north east side of Island Crowne and features two balconies. Every morning you can enjoy a sunrise from the oceanfront balcony and finish your day relaxing and watching the sunset from the west side balcony. This unit stretches east to west and offers lots of advantages. Enjoy direct oceanfront views and an open floor plan from unit B. 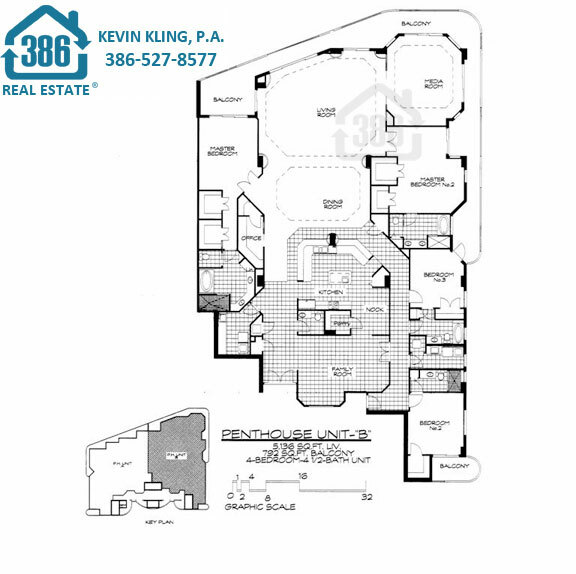 A large open kitchen overlooking the living area is complimented by 3 full bedrooms and 3 full bathrooms. 3 full bedrooms and 3 baths, direct oceanfront, and enjoy lots of closets. Easy access to the oceanfront and onsite amenities. 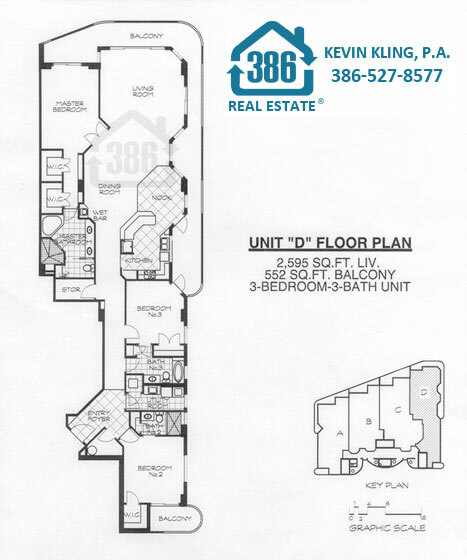 Condo D is located on the southeast corner at the Island Crowne. Unit D owners enjoy lots of windows overlooking the ocean, river, and plenty of natural light. This open floor plan features 2 balconies and much more. Penthouse Unit A features over 4,000 sq. 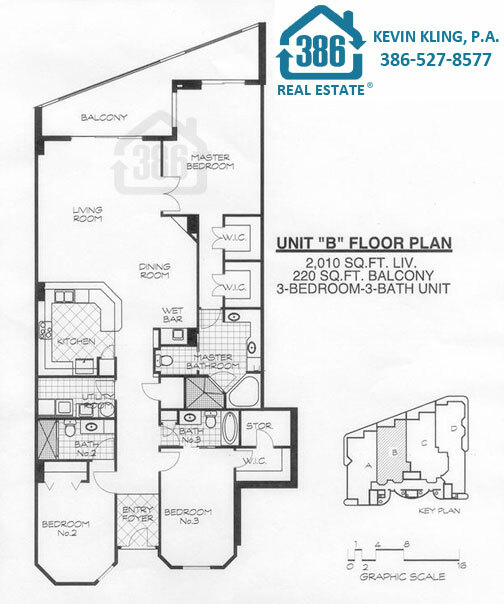 ft. of living space and boasts some of the best waterfront views in all of Daytona Beach. This is a one of a kind condominium. 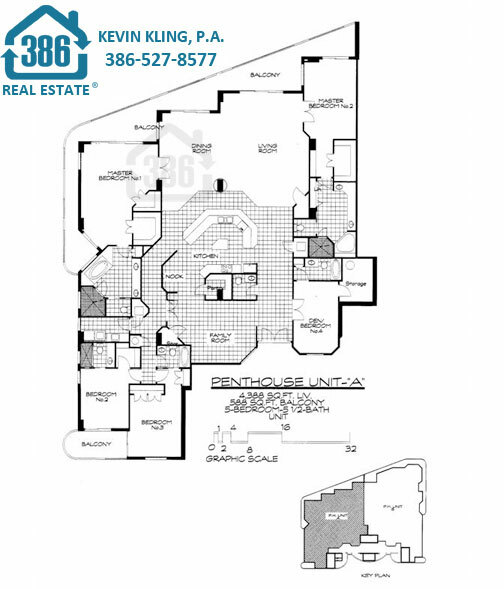 Penthouse Condo B features over 5,000 sq. ft. of living space, with a custom layout, one of a kind finishes, and breathtaking views of the Atlantic Ocean and Halifax River.